Gypsum Wallboard is an important part of your home’s structural integrity. 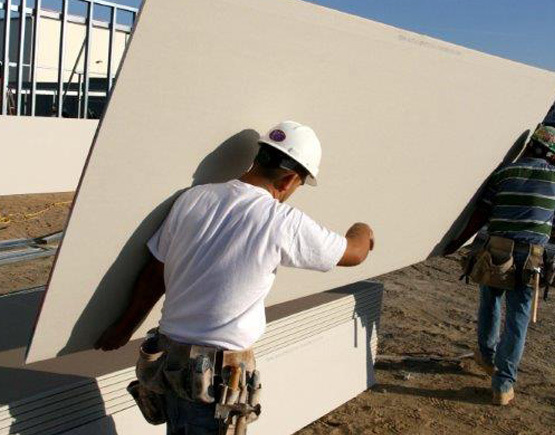 EagleRoc by American Gypsum comes in various thicknesses, depending on residential construction, remodeling, or commercial construction requirements. 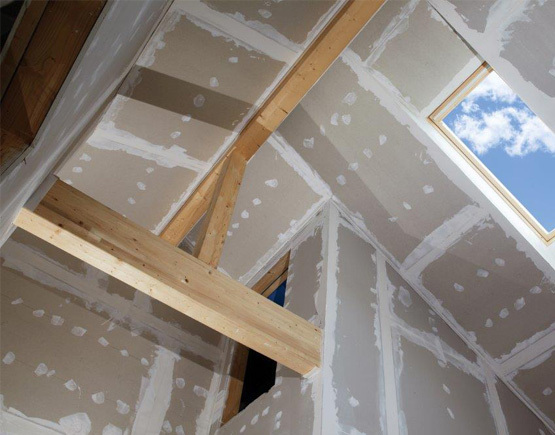 Drywall’s core is naturally fire resistant and the paper exterior is 100% recycled. American Gypsum offers exterior sheathing that is water resistant and is used as an underlayment for siding. Interior Ceiling board is designed for ceilings while Veneer Gypsum Wallboard is designed for veneered plaster application. GoBoard® is the durable, ultra-lightweight, waterproof tile backer board from Johns Manville. Fast installation and easy to cut, handle & install.